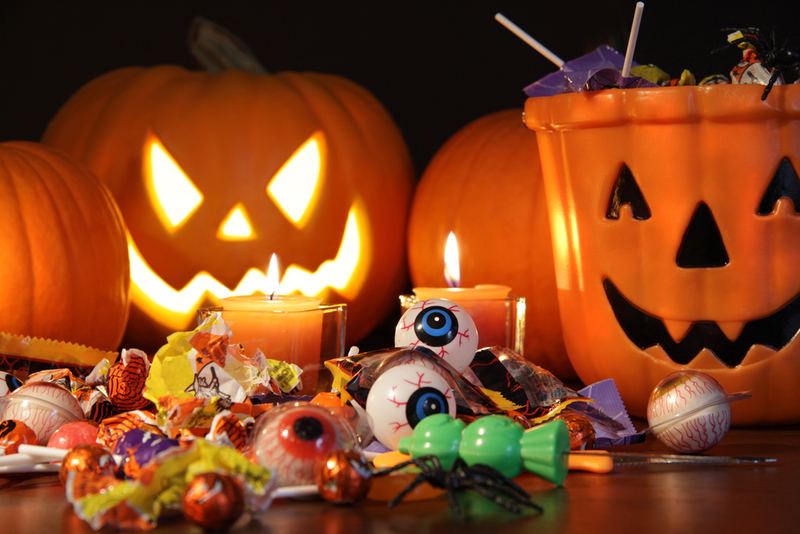 O'Ryans Village Candy Blog: Halloween Candy - So Many Choices, How Do You Choose ? Halloween Candy - So Many Choices, How Do You Choose ? It's that time of year again, before to long there will be ghosts, goblins, ninja turtles and fairy princesses knocking at your door. So sweet and adorable holding out their treat bags just waiting with anticipation to see what they are going to receive. There are so many choices on the market today, how do you choose what you want to hand out ? Are you going to be that dentist that every year hands out that dang toothbrush, or that cool house that always hands out candy bars ? Remember when handing out popcorn balls was a big thing? Of course candy bars are sill very popular but how about something a little more fun ? For some reason candy eyeballs are very popular whether they are chocolate, filled with peanut butter, eyeball suckers or gum balls kids love getting eyeball especially gummy eyeballs. Many like to give out those little packs of candy corn. Kids really are not to crazy about them to be honest. Instead how about handing out little of bags of Sweet Tarts skulls and bones or Sour Patch zombie kids ? Another candy that is not very popular with kids are peanut butter kisses. You know they taffy candies with peanut butter in the middle in the orange and black wrappers. Then you need to take the smaller children into consideration. You want to make sure to give out something that isn't to small. So when you are picking out your Halloween candy keep in mind the fun stuff, the candy they can only get at Halloween, not those candy bars they can get anytime they go to the store. Pick from wax fangs, plastic fangs with bags of blood, bubble gum eyeballs, caramel apple lollipops or gummy body parts. You know kids will love sinking their teeth into brains or feet. Buy the cool Halloween candy and you too will be that house everyone wants to come to. Easter Candy So Many Choices.